Oi meninas tenho um grande presente para todas vcs eu e o meu CT preparamos um calendario 2012 totalmente freebie para vcs! É só dar uma passada em todos os blogs e baixar os arquivos, ai vc terá o calendário completo. 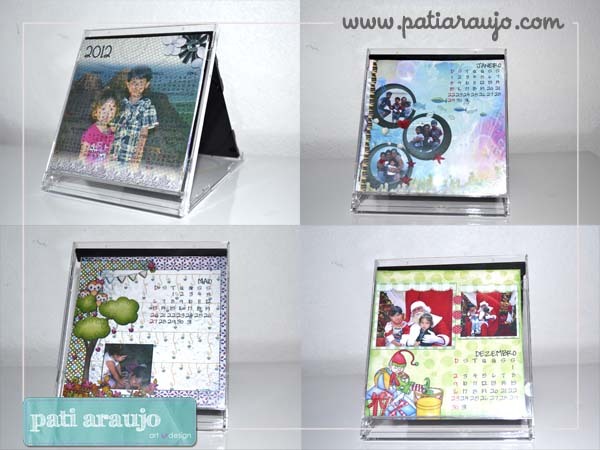 Este calendário é na medida de 12 x 12 cm, e vc insere suas fotos, imprime e recorta coloca na capinha de um CD e pronto, tem um lindo calendário 2012. Hi girls I have a great gift for all you guys and my CT I prepared a 2012 calendar full freebie for you guys! Just take a pass on all blogs and download the files, there you will have the full schedule. This calendar is the extent of 12 x 12 cm, and you insert your photos, prints and cuts puts the cape on a CD and ready, has a beautiful 2012 calendar. Thank you so much for this post. I want to let you know that I posted a link to your blog in CBH Digital Scrapbooking Freebies, under the Page 6 post on Dec. 24, 2011. Thanks again.